Say: "Do good works! Allah will surely see your deeds, and (so will) His Messenger and the believers" (Al-Tawbah 9: 105). The fifth great characteristic of the Islamic concept is "dynamism." Dynamism is expressed in the active and ongoing relationship of Allah Most High with His creation, with the universe, life, and man. And dynamism is expressed also in the activities of man himself in his own sphere. 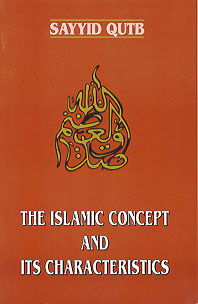 In the Islamic concept, the attributes of Allah are not negative attributes, and the perfection of Allah is not expressed in negative terminology, as is the case in Aristotle's concept; nor are His attributes deficient in some aspects of creation and planning, as is the case with the Zoroastrian concept of dualism, whereby Ahura Mazda, the god of light and goodness is equal to Ahriman, the god of darkness and evil; nor are Allah's attributes, according to the Islamic teachings, limited by necessity, as is the case with the God of Plotinus; nor is He confined to the concerns of a single tribe, as is the case with the Lord God of Israel; nor are His attributes mixed and mingled with the attributes of some nature other than Him, as is the case with the Godhead of some Christian denominations; nor are they completely non-existent, as is presumed by atheists who deny the existence of the Living and Purposeful Creator; and so on, down to the bottom of the heap of such nonsensical concepts. Before we present the clear Islamic concept of the Divine Being, we should have a basis of comparison by considering the man-made alternatives. "In Aristotle's thought God is everlasting, absolutely perfect, with no will and no action, because action is due to a desire of some object and God is independent of any desire, and because willing means choosing between two courses, while God is the most good and most perfect, and is in no need of choosing between good and bad, or good and better. Aristotle says that God is incapable of initiating action in time because, being self-sufficient and eternal, there is nothing that could persuade Him to action. Furthermore, God must be a self-sufficient Mind, for if it needed any external object to be the object of its thought, it would have in it an element of incompleteness. In fact, as it is a pure Mind entirely active in a single activity of thought, the only object of thought that it can have is itself. It would seem to be Aristotle's final conclusion that the Divine Mind has no knowledge of anything outside itself, and no activity except thinking about itself throughout all eternity. "The Persians, prior to Islam, believed in two gods: a god of good called Ahura Mazda, whose authority and power were limited to the world of goodness and light, and a god of evil called Ahriman, whose authority and power were specific to the forces of evil and darkness. These primal beings were twins and, according to one sect of Zoroastrians, were the 'sons' of the ancient god, Zurvan." "Plotinus, who lived in the early part of the third century after Christ, purified the concept of God to such an extent that it went beyond all understanding. While Aristotle thought that God's perfection prevented Him from thinking about anything but Himself, and that He knew nothing of other things in existence, Plotinus went further and claimed that the perfection of the Pure Being prevented Him from knowing even Himself. He is exalted even above this knowledge." "Thus Plotinus says: the One engendered Intelligence, which created Soul; Soul, the offspring of Divine Intelligence, created the rest of the world in a sequence of descending order of beings reaching to the bottom of existence, the world of matter and motion." Thus, in Plotinus' view, the only role of the One was to create Intelligence. After that there was nothing for Him to do! As to "YHWE", the Lord God of Israel, He is the special God of Israel, who demands from the Israelites that they turn away from other gods and worship Him alone. He has anthropomorphic attributes. He can become wrathful and vengeful, but, when His people return to Him, He becomes pleased with them, desists from His intention to destroy them, and becomes extremely sorry for His intentions and actions. We need not repeat our comments about the varieties of Christian concepts. Their mixing of the nature of man and the nature of God in Jesus, may peace be upon him, and whatever absurdities follow from such contradictions, have been discussed in Chapter I, entitled' 'The Wilderness and Intellectual Rubbish." Similarly, we discussed the various concepts of the Objective Materialists earlier and need not repeat them here. From this wilderness of murky concepts let us turn now to the clear, straight, and appealing Islamic concept. In the Islamic concept of God we are dealing with a living Creator and Administrator, an All-knowing God who is active and able to do anything He desires. The Ultimate authority is His. The universe came into being when He willed it to be, and whatever has happened within it and is happening now, including every movement and every change, originates in His will. Nothing takes place in this universe except by His will, knowledge, decision, and action. And He, the Glorious, is directly in touch with every single person, as well as with every animal and every single thing, through His knowledge, His will, and His plan. Indeed, your Lord is Allah who created the heavens and the earth in six periods, and is established on the Throne of Sovereignty. He covers the night with the day in rapid succession. The sun, the moon, and the stars are subser­vient to His command. Indeed, His is all creation and all command! Glorified be Allah, the Sustainer of the Worlds (Al-A'raj7:54). Allah can never be foiled by anything in the heavens or in the earth. Nothing escapes Him. He is the Knowing, the Able (Fatir 35:44). Say: "O Allah! Master of dominion, You give dominion to whom You will, and You take away dominion from whomever You will. You exalt whom You will and abase whom You will. In Your hand is all good. Verily, over all things You have power. You cause the night to gain on the day and You cause the day to gain on the night. You bring forth the living from the dead and You bring forth the dead from the living. You give sustenance to whomsoever You will without count (Ale 'Imran 3:26-27). He is Omnipotent over His servants, and He is the All-Wise, the All-Aware (Al An 'am 6: 18). Allah knows what every female bears, and by how much the wombs fall short [of their time] or exceed [it]. Every­thing with Him is in due proportion. He is the Knower of, the Unseen and the Visible, the Great, the Exalted. It is the same (to Him) whether any of you conceals his thought or brings it into the open or whether he seeks to hide under the cover of night or walks in the light of day, [thinking that] he has hosts of helping angels before him and behind him that could preserve him from whatever Allah may have willed. Allah does not change the condition of a people until they change what is within themselves. If Allah desires to afflict a people, there is no turning it back. Apart from Him, they have no protector. It is He who shows you the lightning [a cause] for fear and hope, and He builds up the clouds heavy with rain. Thunder proclaims His praise, and so do the angels, who are in awe of Him. He sends the thunderbolts and strikes with them whomever He wills. Yet people dispute concerning Allah, Who is mighty in power, despite all the evidence that He alone has the power to continue whatever His unfathomable wisdom wills! His is the call of the truth, and those who they invoke instead of Allah cannot respond to them in any way, [so that he who invokes them] is like the man who stretches out his hands toward water [hoping] that it will reach his mouth, though it never does. The prayer of the unbelievers goes nowhere but astray. All who are in the heavens and on earth prostrate themselves, willingly or unwillingly, as do their shadows in the morning and evenings. Say: "Who is the Lord of the heavens and the earth?" Say: "It is Allah." Say: "Do you then take protectors other than Him, such as have no power either for good or for harm to themselves?" Say: "Are the blind and the seeing equal? Or are the darkness and the light equal?" Or do they believe that there are, side by side with Allah, other divine powers that have created the like of what He creates, so that this act of creation appears to them to be similar (to His)? Say: "Allah is the Creator of every­thing, and He is the One who holds absolute sway over all that exists" (Al-R'ad 13:8-16). If Allah touches you with affliction, there is none who can relieve it except Him, and if He touches you with good, He is able to do all things (Al An 'am 6: 17). To Allah belongs the sovereignty of the heavens and the earth. He creates what He wills. He bestows female (off­spring) upon whomever He wills and bestows male (off­spring) upon whomever He wills or He mingles them, males and females, and He makes barren whomever He wills, for He is All-Knowing, All-Powerful (Al-Shura 42:49-50). Allah takes souls at the time of their death, and (He takes) the one that has not died during its sleep, He keeps back that (soul) for which He has decreed death, but dismisses the rest until an appointed term (Al-Zumar 39:42). There is no secret conference of three without His being their fourth, nor five without His being their sixth, nor of less than that or more without His being with them wheresoever they may be. And afterwards, on the Day of Resurrection, He will inform them of what they did. Truly, Allah is the Knower of all things (Al-Mujadilah 58:7). The consciousness of this intimate connection of the Creator with His creation is the foundation on which the edifice of faith is erected, the conscience of man is sharpened, moral feelings are enhanced, and standards of behavior are established. Indeed, there is a vast gulf between a creed that proclaims a dynamic and continual relationship between Allah and His servants, and another that considers the Deity to be remote and uncaring. The faith that inculcates such a positive attitude toward Allah brings human activity into line with human nature, while a negative attitude toward the Deity separates day-to-day life from the spiritual aspects of human nature. As a matter of fact, a man's concept of his Creator, and his concept of Allah's attributes and their connection with human life, define the value of Allah to him as well as the nature of the man's relationship with Allah. There is a great difference between a person who thinks that Allah does not care about him or that He does not even know about him, as some philosophers have said, and the person who knows that Allah is his Creator, his Provider, and the Master of his affairs here and in the Hereafter. Similarly, there is a difference between a person who is to deal with two quarreling gods, as the Persians thought, or a multitude of deities, as other polytheists presumed, and a person who looks toward Allah, Who has One Will, the One who reveals to people in precise terms what actions of theirs are pleasing to Him so that they may do them, and what actions are evil so that they may refrain from them. There is a vast difference between a person who is to deal with such a god, learning from him indecent and immoral behavior, and the one who deals with Allah the Just, the Generous, the Merciful, who forbids indecent deeds, open or secret, and who loves those who are pure and clean and turn to Him in repentance. Worse still is the case of a person who supposes that dumb, blind "Nature" is his creator, demanding from him neither belief nor faith, nor a way of life, nor morals and manners, nor conscience and good behavior. Such a "god" is entirely unaware of his existence, and, in fact, is devoid of any perception and knowledge. Obviously an entity that has no sense, no vision, and no perception of good and evil is incapable of taking account of good or evil behavior. There is then a vast difference between a person who takes' 'Nature" as his creator, and the one who recognizes Allah as his Creator, One who is Living and Eternal, Who responds to the needs of His creatures, Who is never absent and is a reckoner and never forgets, Who is just and never oppresses, and Who is merciful and responds to the call of those in distress. Indeed, the whole way of life is entirely different, and consequently this characteristic of the Islamic concept has deep significance and great value in the life of a Muslim. It is a great blessing of Islam that it impresses upon the minds of the Muslims the living presence of Allah and the dynamic relationship of Allah with His creation. The first generation of Muslims lived in the shade of Divine Revelations, which were very closely related to the events in their lives and with what troubled their hearts, thus providing a concrete example of this characteristic. We have seen how the hand of Allah Most High operated in their lives and how they were able to see its operation very clearly. Allah has heard the words of the woman who pleads with you (Muhammad) concerning her husband and complains to Allah (about the unjust pre-Islamic custom of zihar). Allah hears what you both have to say. Surely Allah is All-Hearing, All-Knowing (Al- Mujadilah 58: 1). He (Muhammad) frowned and turned away because the blind man approached him. Yet for all you knew (Muham­mad), he might have grown in purity or have been reminded (of the truth) and helped by this reminder. But you gave your whole attention to the person who thinks himself self-sufficient. Yet it is not your concern if he does not attain to purity. But you paid no heed to the one who came to you with earnest purpose and in awe of Allah. Nay, indeed, these (messages) are a Reminder, so let whosoever wills, pay heed to them ('Abasa 80: 1-12). If you do not help him, the Messenger, then (know that Allah will do so, just as) Allah helped him when those who disbelieved drove him out and (he was only) one of two, ­ when these two were in the cave, and he said to his comrade, "Grieve not! Surely Allah is with us." Then Allah sent down on him His peace of reassurance and supported him with hosts that you did not see, and He humbled to the depths the cause of the unbelievers, but Allah's cause is exalted to the heights, for Allah is All-Mighty and All-Wise (Al-Tawbah 9:40). And your Lord brought you forth from your house with the truth, and a part of the believers were averse to it and disputed with you concerning the truth after it had become clear, as though they were being driven to death with their eyes wide open. And when Allah promised you that one of the two bands (of the enemy) should be yours, you wished that one not armed should be yours, but Allah willed that the truth be triumphant by His words, and cut the root of the disbelievers, so that He might prove the truth and disprove the falsehood, however much the sinners might be averse to it. When you were calling upon your Lord for Help and He answered you, "I shall reinforce you with a thousand angels, rank upon rank," Allah did so in order to give you good tidings so that your hearts thereby might be at rest, for there is no help except with Allah. Surely Allah is All-Mighty and All-Wise. (Remember how) He caused inner calm to enfold you as an assurance from Him, and sent down water from the sky to purify you thereby and to remove from you the fear of Satan, and to strengthen your hearts, and to make firm your steps. (And remember how) your Lord inspired the angels (to convey this message to the believers:) "Surely I am with you." (And He com­manded the angels:) "So make the believers stand firm (with these words from Me:) 'I will instill terror in the hearts of the unbelievers. So strike their necks, (O believers), and strike off everyone of their fingers'" (Al-AnfaI8:5-12). Allah has been true to His promise toward you when you were about to destroy your foes by His leave, until you lost heart and disagreed about the order and disobeyed, after He had brought you in sight of the (victory) that you longed for. Some of you desired this world, and some of you desired the Hereafter. Then He made you flee from them, so that He might try you, yet now He has forgiven you, for Allah is bounteous to the believers. (Remember) when you climbed (the hill) in flight and paid no heed to anyone, and the Messenger, in your rear, was calling you (to fight). Therefore He rewarded you with grief in return for (the Messenger's) grief, so that (He might teach) you not to sorrow either for what you missed or for what befell you. Allah is aware of what you do. Then, after this grief, He sent down upon you a sense of security, an inner calm and self confidence, which enfolded some of you, while another party, who were anxious for themselves, entertained wrong thoughts about Allah, the thoughts of ignorance, saying, "Did we, then, have any power of decision (in this matter)?" Say, "Verily, all power of decision does rest with Allah." But they are trying to conceal in their hearts (a thought) that they did not reveal to you (O Prophet, by) saying, "Ah, if we had any power of decision in this affair, never would so many of us have been slain here." Say, "Even if you had been in your houses, those for whom slaying was appointed would have gone forth to the places where they were to lie." (All this befell you) in order that Allah might try what is in your breasts and render your innermost hearts pure, for Allah is aware of what is hidden in the hearts (of men) (Ale 'Imran 3: 152-154). We have observed Allah's direct intervention in all the important affairs of the early Muslims. This direct intervention was not confined only to the first generation of Muslims because this is Allah's way in every situation, in every affair, and at all times, whether we realize it or not. It was evidenced in the lives of all the Messengers of Allah, peace be upon them, as reported by Allah Most High in the Holy Qur'an. In the confrontation of Moses, peace be upon him, with Pharaoh and his officials, Allah's direct intervention was unveiled to the beholders. We narrate to you something of the story of Moses and Pharaoh, setting forth the truth for a people who believe. Now Pharaoh had exalted himself in the land and had divided its inhabitants into castes. One group among them he oppressed. He slaughtered their sons and spared only their women, for he was one of those who spread corrup­tion. We desired to show favor to those who were op­pressed in the land, and to make them forerunners in faith and heirs (to Pharaoh's glory), and to establish them secure­ly on earth, and to show Pharaoh and Haman and their hosts what they were dreading from them. So We revealed to the mother of Moses, "Suckle him, and when you fear for him then cast him into the river, and do not fear or grieve. We shall bring him back to you and shall make him one of Our messengers." And the family of Pharaoh took him up, for (We had willed) that he might become for them an enemy and a source of sorrow, because Pharaoh and Haman and their hosts were indeed sinners. Pharaoh's wife said, "He will be a comfort for me and you. Do not kill him. Perhaps he may be of use to us, or we will adopt him as a son.” And they were not aware (of his future). And the heart of Moses' mother became empty and she would have betrayed him if We had not fortified her heart, so that she might keep alive her faith (in Our promise). And so she said to his sister, "Follow him." So she observed him from a distance, even while they (who had taken him in) were not aware of it. Now from the very beginning We caused him to refuse the breast of (Egyptian) nurses. So (when his sister learned this,) she said, "Shall I direct you to a family that might rear him for you and take good care of him?" So We restored him to his mother, so that she might be comforted and not grieve, and so she might know that the promise of Allah always comes true, even though most of them do not know this (Al- Qasas 28:2-13). The people of Noah denied (resurrection) long before those (who now deny it), and they denied Our servant and said, "He is a madman," and he was rejected. So he called upon his Lord, saying, "I am vanquished! Help me!" Then We opened the gates of heaven so that water poured down in torrents and made the earth gush forth with fountains, and the waters met for a preordained purpose. But We carried him upon a vessel well-planked and well-caulked, running before Our sight, as a reward for him who was denied (Al-Qamar 54:9-14). They said, "Burn him, and help your gods, if you would do something?" We said, "O fire, be coolness and safety for Abraham!" They desired to outwit him, so We made them the real losers. And We delivered him and Lot into the land that We had blessed for all peoples. And We bestowed upon him Isaac, and Jacob as a grandson. Each of them We made righteous and appointed them to be leaders guiding by Our command, for We inspired them to do good works, and to be constant in prayers, and to give charity, and they wor­shipped Us alone (Al-Anbiya 21 :68- 73). We observe His actions in the entire universe and in both animate and inanimate creation. Verily, it is Allah (alone) who upholds the heavens and the earth so they will not deviate, for if they should ever deviate, none could uphold them after He ceases to do so. Surely He is All-Clement, All-Forgiving (Fatir 35:41). Have they not regarded the birds subject (to His law) in mid-air? None holds them but Allah. Surely in this are signs for a people who believe (Al-Nahl 16:79). How many animals are there that are helpless in providing for their own sustenance! Yet Allah provides for them and for you (Al- 'Ankabut 29:60). Have you considered the seed you sow in the soil? Do you cause it to grow or are We the growers? If We willed, We would crumble it to dry powder and you would be left to wonderland lament): "Verily, we are ruined! We have been deprived (of our livelihood)!" Have you considered the water you drink? Do you bring it down from the clouds, or do We send it down? If We willed, We could make it bitter. Why, then are you not thankful? Have you considered the fire you kindle? Do you grow the tree that feeds it or do We grow it? We made it to remind you (of Us) and as a boon to all who are lost and hungry in the wilderness (Al-Waqi. 'ah 56:63- 73). Have they not seen how We visit the earth (with Our punishing), gradually depriving it of all that is best on it? For, (when) Allah judges, no one can postpone His judg­ment, and He is swift in reckoning (Al-Ra'd 13:41). The Qur'an is full of descriptions of the dynamic and positive relationship of Allah with His creation, and this, together with the Oneness of Allah Most High, constitutes the basis of the Islamic concept. Indeed, Allah's Oneness is expressed through this dynamic relationship. In the Islamic belief, Allah is active and participatory and not like the gods of Aristotle or Plotinus, which are passive and self-centered. The first generation of Muslims, the generation of the Companions of the Prophet, internalized this reality and became without exception the most unique and the most distinguished community in the entire history of mankind. In their daily lives, morning and evening, day in and day out, they lived with Allah Most High, and felt His presence within their selves and all around them more deeply and more concretely than the senses of touch and sight. They lived in the shades of His mercy, under His watchful eyes, and saw His hand intervening in their affairs, big and small, obliterating their mistakes, guiding them, and supporting them. With this realization in their hearts, they were alert but contented, awake but at rest, active but relying on Allah, fearful yet hopeful, humble before Allah and dignified before others for the sake of Allah, subservient to Allah and eager to gain the upper hand over His enemies. Through these people Allah brought great reforms and constructive changes in the world, whereby they cleansed it and uplifted people to an extent unprecedented in human history. Another aspect of the dynamism of Islam is manifested in the active role it assigns to man in general and to the Muslim in particular, in this world. The nature of the Islamic concept is not to remain hidden in the human mind. It must be translated immediately into action and become a concrete reality in the world of events. The believer cannot be content to have his faith remain concealed in his heart, because he feels compelled to make his faith an effective force in changing his own life and the lives of the people around him. Indeed, the Islamic concept is not like a theory, or an ideal dream, or spiritual mysticism, which may remain passively in the depths of the human heart. It is a practical' 'plan" designed to be implemented. As long as it is not implemented, its value remains purely academic, and that is not its intent. It keeps stirring in the heart of the Muslim, spurring him to work in order to realize its goals in the world of events. Thus the Islamic concept keeps the mind of the Muslim restless, always calling him to action from the depths of his consciousness, telling him to get up and go out and actualize this concept in the real world. It refines his sensibilities in order to bring the entire power of his belief and will to bear upon the reconstruction of a society so that the Islamic faith may be realized in the lives of people. Whenever the Qur'an mentions belief or the believers, it also mentions appropriate deeds that translate the belief into practice, because Islam is not just a matter of feelings but of feeling that moves people to action in accordance with the Islamic “plan" and the Islamic concept. The believers are only those who believe in Allah and His Messenger and afterward do not doubt, but strive with their wealth and their lives for the cause of Allah. Such are the sincere (Al-Hujurat 49: 15). Allah has promised those of you who believe and do good works that He would surely cause them to gain power and security in the world, even as He caused (some of) those before them, and that surely He will firmly establish the religion for them that He has approved for them, and will give them in exchange, after their fear, security. They shall serve Me and not ascribe divine powers to anything beside Me. But those who disbelieve after (having understood) this are truly iniquitous (Al-Nur 24:55). You are the best nation ever brought forth for people, bidding what is honorable, and forbidding what is dishonorable, and believing in Allah (Ale 'Imran 3: 110). And their Lord answers them, "I shall not lose sight of anyone of you who labors (in My cause), male or female, in as much as one of you is like the other. And those who emigrated, and were expelled from their homes, or suffered torture in My way and fought and were slain, shall I surely forgive their bad deeds, and I shall admit them to gardens underneath which rivers flow, as a reward from Allah, for with Allah is the best reward" (Ale 'Imran 3:195). Consider the flight of time! Surely man is bound to lose himself unless he is among those who believe and do good works and counsel each other to pursue the truth and to be steadfast (Al-'Asr 103:1-2). So, faith is not merely feelings in the heart or ideas in the mind, with no application in life, nor is faith merely rituals of worship, without action in society and effort to establish Allah's legislation. The Mus­lim, under the inspiration of the Islamic concept, feels personally responsible to be a witness to the universal and eternal din of Islam. He cannot rest, nor can his conscience be satisfied, nor does he feel that he has fully expressed his thanks to Allah Most High for His great favor in making him a Muslim, nor can he even hope to be saved from Allah's punishment here and in the Hereafter, unless he has given complete testimony to the truth of Islam through his life, effort, and wealth. Thus We have appointed you as a mediating, median, and justly balanced nation so that you might be witnesses to the people and so that the Messenger might be a witness to you (Al-Baqarah 2:143). And who does greater evil than the one who conceals a testimony received from Allah? (Al-Baqarah 2: 140). The first manifestation of this testimony is within one's own self. One must bring one's personal life, in every detail, in line with one's concept and belief. One's every movement must conform to the demands of this din, so that one is witnessing to the truth of Islam by action and not merely by the tongue or by the heart. One should become a living embodiment of one's faith and be visible to everyone by initiating action in the real world and in the affairs of mankind. Secondly, one expresses one's testimony by inviting others to this way of life through clear exposition of the Islamic concept. There are a great many motives for this invitation and this exposition. One's foremost motive is to thank Allah Most High for the blessing of Islam. Secondly, this concept teaches us that all mankind is a single brother­hood, and our goodwill toward our brethren propels us to inform them about the truth to which we are guided, because this truth is not meant only for ourselves or our family, tribe, nation, ethnic group, or race, but is meant for all the people in the world. Thirdly, our consciousness of the responsibility, similar to the responsibility of the Messengers of Allah, to dispel others' ignorance and error, motivates us to convey this message to one and all. We know that we are successors to the Messengers of Allah, and their burden is now on our shoulders. We sent all those Messengers as bearers of good tidings and as warners, so that men might have no excuse before Allah after the coming of these Messengers (Al Nisa 4:165). We never chastise, until We send forth a Messenger (Al-Isra 17:15). Lastly, one gives testimony through one's efforts to establish the way of life prescribed by Allah, to build the system that proceeds from the Islamic concept, and to organize the affairs of man, and of all peoples, on the basis of this system. This is so because this concept is the theoretical “plan" or “framework" for the real world and is intended to become the way of life for all the people on earth. Islam, which proclaims that Sovereignty over people belongs to Allah alone, cannot exist without a society that recognizes Allah as its Sovereign and builds its entire system of life on this fundamental principle. When Muslims dedicate themselves entirely to this collective effort, then and only then do they deserve the help of Allah promised to them. This condition is a very clear condition and there is no ambiguity about it. Assuredly Allah will help the one who helps Him for surely Allah is Most Powerful and Almighty and (well aware of) those who, (when) We establish them firmly on earth, remain constant in prayer, and pay the prescribed charity, and enjoin what is right and forbid doing wrong, but with Allah rests the final outcome of all events (Al-Hajj 22:40­41). It is the very nature of the Islamic concept to encourage and urge the human being to do something positive and productive, because according to the Islamic concept man is an active agent and not a passive recipient on this earth. To begin with, he is the deputy of Allah on earth, and he has been made the deputy in order to actualize the way prescribed by Allah, which is to initiate, to build, to change, and to make developments in the land in reliance on the natural forces that Allah has created to be of use to human beings in their work. It is He Who sends down water from the sky; from it you drink and out of it (grow) the plants upon which you pasture your herd. And with it He causes crops to grow for you, and olive trees, and palms, and grapes, and all kinds of fruit. Surely in this is a sign for a people who think. And He has made the night and the day and the sun and the moon subservient for you, and the stars are subservient to His command. Surely in this are signs for a people who use their reason. And in all the many things on this earth that He has multiplied for you in many hues (of kind, quality, and color), indeed, are signs for a people who meditate on Allah and His bounties. And it is He Who has made the sea subservient, so that you may eat from its fresh meat, and take from it gems to wear. And you see the ships plowing through its waves so that you seek His bounty. And perhaps you may be thankful. And He has placed firm mountains on earth, lest it sway with you, and rivers and paths, so that you may find your way, and means of orientation, and stars by which (men) guide themselves. Is, then, He Who creates like the one who cannot create? Will you not then grasp the message? (Al-Nahl 16: 10-17). The Muslim's consciousness that he is obligated to work, and that he is helped in doing his work, makes him aware that in his relation­ship either to natural forces or to the Will of Allah Most High there is no place for negativism in the system of this universe. He has been given his capabilities and powers, and the natural environment and laws are all there to help him for a purpose. And, as we stated previously, there is a balance between the absolutely free Will of Allah and the positive actions of man. For this reason man's role in the universe must be dynamic, productive, and positive. Once the negative attitudes are removed from a person's mind, he is impelled toward work and dynamic action. Islam is not satisfied merely with removing the negative attitudes, but rather reinforces positive attitudes by teaching that Allah's will, among human beings, works through themselves and through their actions. Indeed, Allah does not change what is in a people until they change what is in themselves (Al-R'ad 13: 11). Fight them, and Allah will chastise them by your hands and bring disgrace upon them, and He will bring healing to the breasts of those who believe, and He will remove the anger within their hearts. And Allah will turn in His mercy toward whomever He wills, for Allah is All-Knowing, All-Wise (Al-Tawbah 9:14-15). Now, if the hypocrites, and those in whose hearts is disease, and those who make commotion in the city by spreading false rumors, do not stop (their evil actions) We shall assuredly urge you against them and indeed give you (Muhammad) mastery over them, and then they will remain your neighbors there for only a little while (Al-Ahzab 33:60). Corruption has appeared on land and sea because of what man's own hands have wrought, and so He will let them taste (the evil of) some of their doings so that they might turn back (to the right path) (Al-Rum 30:41). Islam also teaches that Allah is not pleased with mere thoughts in the minds of men and words on their tongues. He does not let a people alone until they translate their faith into action, and He continues to show them His signs until their reward from Him comes in the form of clear guidance. But those who strive in Our cause, surely We shall guide them in Our ways; and Allah is with the doers of good / (Al- 'Ankabut 29:69). Or did you suppose you would enter Paradise without Allah determining which among you have striven hard and shown patience? (Ale 'Imran 3: 142). Say, "Do good Work! Allah will surely see your deeds, and (so will) His Messenger and the believers. And you will be returned to Him who knows the seen and the unseen, and then He will make you understand what you have been doing" (Al-Tawbah 9:105). Contemplating all this, the Muslim realizes that his existence in the world is not a transitory, unplanned, or chance event, but has been foreordained with a definite purpose. He has been brought into being on this earth in order to work for his own sake and for the sake of others. This earth is his field of action, and in this universe of space and time his actions are recorded. He will be considered to have given proper thanks to his Creator for his existence and for His favor of bestowing upon him the true faith, and he may hope to attain salvation from Allah's accounting and chastisement, only by fulfilling certain conditions. He must fulfill his positive role as Allah's vicegerent on earth, obey His guidance, apply this guidance to his life and to the lives of others, and struggle to uproot corruption from the earth, especially the corruption that comes by not applying the way of life prescribed by Allah for every person and community of people. If such corruption occurs, part of the blame may be on his shoulders for not being a witness to Allah in his own life before others and before the entire world. When the Muslim looks at the situation in this manner, his self-image is elevated and his ambitions increase in proportion to his perception of the responsibilities he is supposed to bear and the tasks he is to perform. His life focuses on meeting his Lord, and his fondest desires are to stand up as a witness to the truth, fulfill the trust laid upon him, complete his tasks to the best of his powers, and to remain close to Allah forever, far removed from the Fire. Abstracted from Al-Akkad, Haqaiq Al-Islam wa Abatil Khasumihi., pp.33-34. Al-Akkad. Haqaiq Al-Islam wa Abatil Khasumihi, pp. 40-41. Refer back to the chapter, "Comprehensiveness," in this book.